John Howard possesses the best of all the qualities associated with “naturalist.” He has an insatiable curiosity and a perennial sense of wonder. He can tell you something interesting at the drop of the hat about everything from a stone to a sedge to a stonefly, and he can find amazing things in nature that the rest of us walk right by. Studying the backroads of Adams County his entire life, he knows nearly all -if not all- of the dragonflies, butterflies, vascular plants, birds, amphibians and reptiles, and has a good working understanding of everything else. John has a particular fondness for insects – and Adams County has more of its share of the odd and wonderful. Taking a nature walk with John is a rare privilege for even his close friends, who don’t think twice about driving half-way across the state for an opportunity to join him to watch fireflies, catch salamanders heading for the vernal pools, photograph the first spring flowers in bloom even if they are only 1/2 inch tall and tomorrow’s forecast calls for snow, or look for a new-to-science moth or caterpillar on an obscure plant. John has recently retired from General Electric at the Peebles Jet Engine Testing Facility, is devoted to his family and beloved grandchild, and supports a packed schedule of guided outings. Without a doubt, we are excited to have John lead our butterfly identification field studies. Nancy has been the Director of the Arc of Appalachia Preserve System since she co-founded the non-profit back in 1995. In the span of directing the organization over the last 20-plus years, Nancy has cultivated a vigorous citizen advocacy network in Ohio, what Nancy like to refer to as a “tree-roots network.” In the last 23 years, Nancy has led the charge to save and preserve 6200 acres of natural areas in Appalachian Ohio, representing 22 preserve regions and well over 100 separate real estate negotiations and fund-raising campaigns. 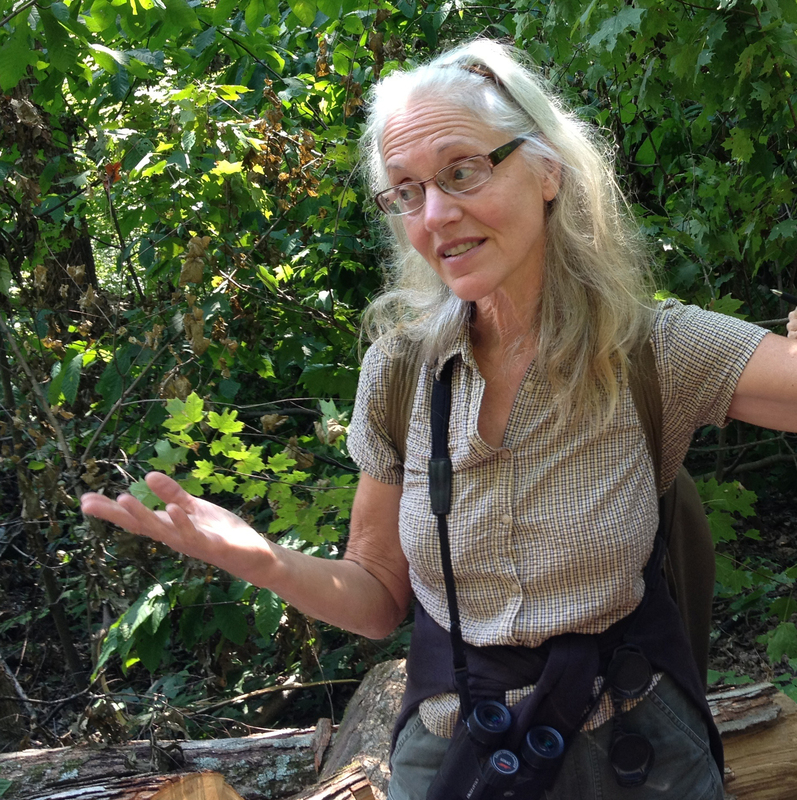 In addition to her land preservation work she has been a life-long student and teacher of nature, founding the Arc’s Appalachian Forest School to ensure the perpetuation of natural history skills in our culture, field knowledge that is best taught person-to-person. Fireflies has become a recent passion for Nancy. She looks forward to the light shows of June each year, and sets aside time during the glowing nights of summer to learn the firefly inhabitants of yet unexplored territories. She LOVE igniting others to the joy of the firefly pursuits. Previously in her career, Nancy served as Chief Naturalist for Ohio State Parks with the Ohio Dept. of Natural Resources (actually working with Brent for some of those years!). Later on, she operated Benevolence Café and Bakery in downtown Columbus’ city market for 20 years, where she promoted healthy and intentional food choices.